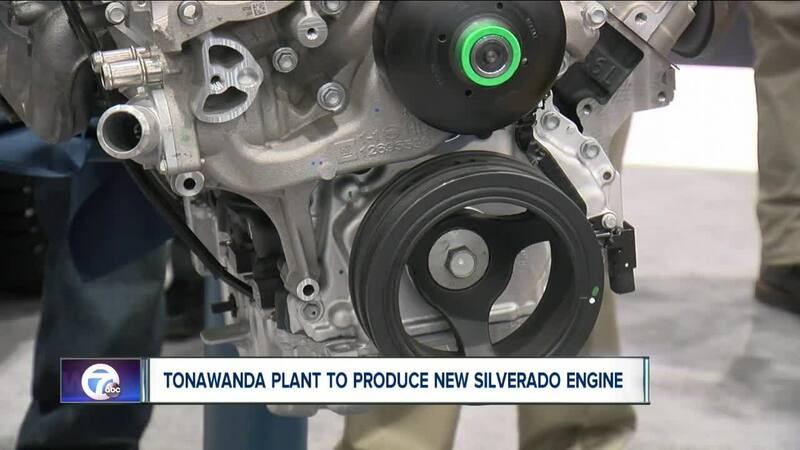 BUFFALO, N.Y. (WKBW) — The engine for the 2020 Chevrolet Silverado will be made right here in Western New York. The plant director at the General Motors Tonawanda Engine Plant made the announcement Friday at the Buffalo Auto Show. The 6.6 litre V8 small block engine can produce more than 400 horsepower and will be used in the Heavy Duty model of the pickup truck. Plant Director Ram Ramanujam says the engine will give the truck 22 percent more torque and 18 percent more towing capabilities than previous models. "We believe it has world-class, industry leading technology," Ramanujam said. Ramanujam says the 2016 investment of nearly $300 million investment into the plant has helped prepare the plant for this project.